Beginning stamp collectors oftentimes find themselves stuck when it comes to properly starting a stamp collection. It can be difficult to get into the hobby if you don’t know where to start. That’s where stamp collecting kits come into play. Stamp collecting kits contain the supplies and information necessary for starting a stamp collection with ease. In this article, I’m going to summarize the best, and most cost-effective stamp collecting kits available. Mystic Stamp Company created a winner with this one. An excellent buy at just $14.95, this stamp collecting kit offers everything you need to start a basic collection. I say basic, because this kit doesn’t include more advanced stamp collecting supplies such as stamp tongs and a magnifying glass. Get Mystic’s exclusive Historic Postage Stamps of the United States album for just $14.95. Act now and we’ll include 100 used U.S. stamps, 1,000 hinges for attaching your stamps in your album and – all for FREE. It’s a terrific value – you save over $24. The retail price of the Historic Postage Stamp of the United States Album is $36.95 – but it can be yours for just $14.95. You save $22.00. 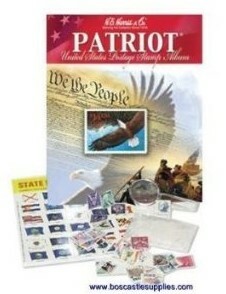 Plus you’ll get 100 genuine U.S. postage stamps and collecting supplies for free. Mystic Stamp Company has been helping folks enjoy stamp collecting since 1923. We created the Historic Postage Stamps of the United States Album to help you take the first step toward becoming a real collector. Plus, this illustrated, one-volume album comes with 100 free U.S. postage stamps, free stamp hinges (so you can attach the stamps to the album) and a free stamp collecting guide booklet. So you’ll get everything you need to start collecting. Each stamp is illustrated and labeled with its identification number, making it easy to see what you have and where to place it in your album. Facing pages contain stories about each stamp, so you’ll discover lots of fun facts about the people, places or events pictured on every one. The album has a handy 3-ring design that allows it to lie flat for easy viewing of your collection. 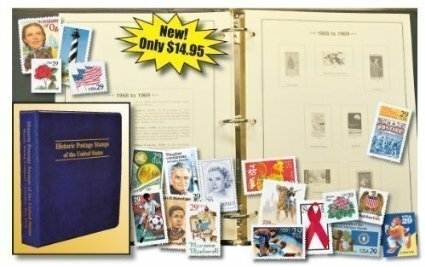 The Historic Postage Stamps of the United States album has spaces for 1,425 stamps. To get you started, we’ll include 100 U.S. stamps FREE. You’ll love sorting through all these postally used stamps commemorating what makes America great. Order now and you’ll also receive Mystic’s Guide to Stamp Collecting. It includes everything you need to know about the world’s greatest hobby and it’s yours FREE! Mystic’s starter kit is the fun and affordable way to discover the joy of stamp collecting. A terrific value – and it makes an ideal gift. So yeah, pretty decent value for the money. 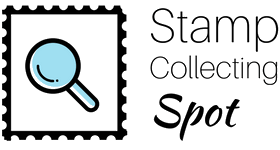 Again, it doesn’t include some of the more advanced stamp collecting supplies, but what it does include is great for learning about stamp collecting and building your own collection. H.E. Harris and Co.’s Explorer World Wide stamp collecting kit is perfect for anyone on a budget interested in collecting stamps from around the world. This kit is aimed at young collectors, but adults just getting into stamp collecting can benefit from it as well. Although this kit doesn’t include stamp tongs, it does come with a magnifying glass. 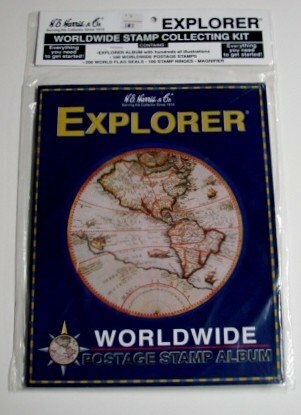 This beginner kit contains the Explorer album, 100 different worldwide stamps, 100 hinges, magnifier and set of 200 World Flag seals. Again, great for the new collector looking to collect world wide stamps. This kit is also created by H.E. Harris and Co., and is for those interested in collecting stamps issued by the United States. It’s aimed at kids, but adults new to collecting can find value with this kit as well. This kit includes a magnifying glass, but not stamp tongs or other more advanced stamp collecting supplies. United States stamps, with over 1600 illustrations. Assorted used United States postage stamps. used to mount your used stamps. U.S. are gummed and perforated for stamp albums, school work, etc. This kit is a good, yet budget-friendly option for people interested in collecting US stamps. There you go, those are the best 3 budget-friendly stamp collecting kits on the market. Since none of them come with stamp tongs, which I believe are the most important tools in stamp collecting, I highly recommend purchasing some. Many stamp tongs are of inferior quality, not fit for handling stamps. If you’re okay with spending over $10 for quality stamp tongs, I’d suggest going with these. I personally use these stamp tongs, and they are very high quality, durable, and perfect for handling stamps. They are the last stamp tongs I’ll ever need. Cheaper options are available, but just remember they won’t be as high quality, and some will even damage stamps. That’s why I suggest going with the ones I linked to above. You’ll be sure to get quality stamp tongs, and won’t have to worry about whether they’re causing damage to your stamps. I hope you found this post helpful! Feel free to leave a comment below, and if you have any questions I’d be happy to answer them! Next PostDiscount Postage – Never Pay Full Price For Stamps Again! I found your post to be very interesting. Years ago when my only child was very small, I received a bunch of Mystic stamps and thought about collecting. I never did keep up with it because of being busy work and life, but a lot of people do enjoy stamp collecting. Thanks for commenting. I can totally understand the issue of not having enough time to seriously collect stamps. In fact, sometimes I’m so busy I don’t see a stamp all day. I did stamp collecting as a kid, but was more into coin collecting. Always nice to find a simple and inexpensive way to start a collection whether it is stamps or another hobby. I was always interested in history and collecting stamps and coins made me learn more about US history. Great post! Funny, when I was younger I collected coins, not stamps. I enjoy uncovering the most inexpensive ways to start collecting stamps. Many kits are astronomically priced, which doesn’t seem right. I agree, stamps and coins are like little windows into the past. They’re very intriguing. That first one looks especially useful for a beginner in stamp collecting. I don’t have enough time to collect stamps, but I’ve started keeping them instead of throwing them away. I’m interested in retro ones, like this space stamp I saw in a history book once. You should do a post on those! It looks like it could be a lot of work though. Why are tongs and magnifying glasses needed for stamps? Great post Ian! Yes, like I said Mystic did a good job with that one. Keeping the stamps you get in the mail is a fantastic idea. There are actually some people on eBay making money selling bags of modern stamps. These days used current stamps are more valuable than used stamps from the 1940s-1990s. Funny huh? Long story short: Years ago, people thought saving stamps would be a great investment. So almost everyone did it. What happened? Since everyone was saving stamps hoping to sell them for profit in the future, all those stamps were really common, and never gained in value. However, today finding a stamp on the mail is rare (if you only get a few pieces of mail per day), and so collectors have a difficult time finding used modern stamps. Tongs are used for picking up stamps. You never want to touch a stamp with your finger, because skin oil will have a negative effect on stamps, and can ultimately ruin them. Also, it’s very easy to accidentally crease a stamp by picking it up with your fingers. Magnifying glasses are used to study the details on stamps. On some older stamps, the presence of an extra tiny speck of ink can increase the value by thousands. The differences are difficult to spot with the naked eye, so that’s where magnifiers come in handy. When I was a child, I had this hobby of collecting Stamps! I used to collect in a nice stamp book and show everyone who visited us and used to be proud of it! Your post is very interesting, I didnt even know such products exist, it just made me remember those awesome old memories of childhood, the beautiful moments of collecting Stamps. Thanks for commenting. Yes, stamp collecting is a wonderful hobby, and these collecting kits make it extremely easy to get started. I’m glad this brought back some awesome memories, thanks for sharing that.